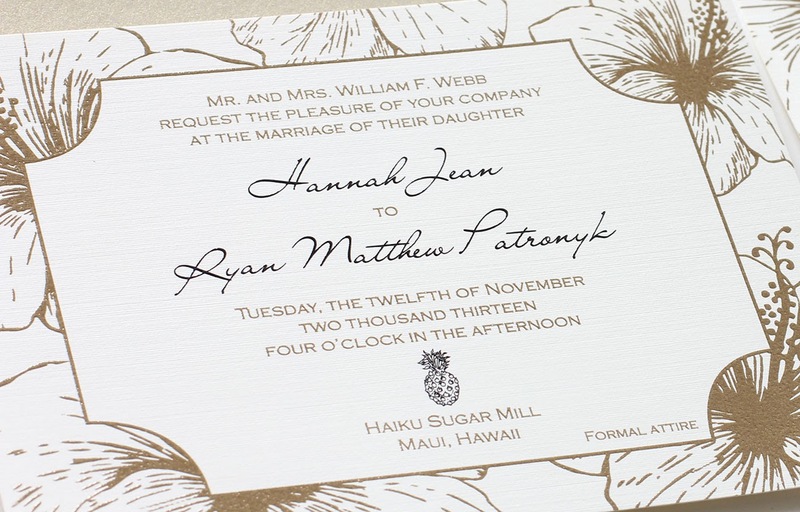 Dreaming of warm weather reminded me I never shared Hannah & Ryan's gorgeous Hawaiian wedding invitations with you! 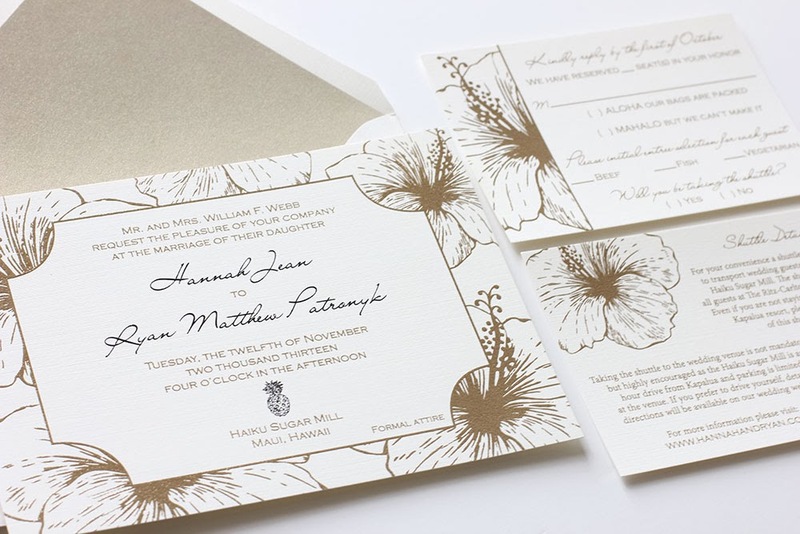 Printed in metallic gold & black thermography on thick off white linen, they were absolute perfection. I especially love the pineapple detail! Congratulations to Hannah & Ryan and thank you for choosing Blush Paperie! !